Finance and housing specialists are anticipating the summer and fall months are likely to produce a flux of short sales. The multitude of short sales comes as more banks choose a portion of what they are owed rather than have a property go into foreclosure. The Obama administration has advocated short sales as a solution for both financial institutions and sellers. RealtyTrac data shows short sales in the first quarter of 2012 were up 25 percent compared to 2011. This represented a three year high. 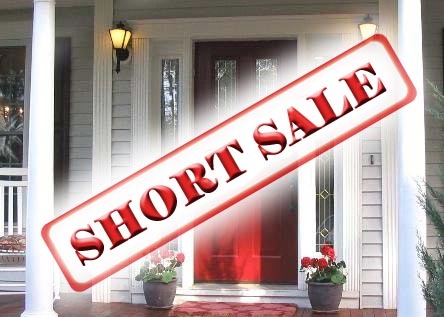 Homeowners considering whether to seek a short sale also realize that the year is more than half over. Normally, sellers in a short sale see their forgiven loan amount included as taxable income. A governmental provision has temporarily discontinued that to help breakdown the foreclosure log jam, but the tax break comes to an end this year. Short sales can often take months, which means prospective sellers need to move soon in order to retain the tax break. Sellers also need to start the process with their lending institution. Most sellers credit will fall anywhere from 85 to 160 points and they will be unable to receive home financing for several years. Veterans and other VA-eligible borrowers will have a two year waiting period before regaining eligibility. Short sales continue to be bargain for buyers with the credit and income to secure home financing. Prices on distressed properties are often 2 to 25 percent less than non-distressed properties, but there is increased competition on short sales, which tend to be in better repair than foreclosures. Buyers presuming to acquire a bargain may need counsel to come prepared with a serious offer. This is where the well prepared and trained Realtor as well as the proper mortgage lender become critical to the process. As a Realtor, you’ll want to make sure you position yourself to take advantage of this increased market activity. As a lender, it is paramount to familiarize yourself with any new guidelines changes and assure that buyers are properly qualified so that escrow delays can be avoided. And finally, as a consumer, starting the process as early as possible will put you in the best position when you find that perfect house. The selling banks do not want to wait (every passing day costs them money) so being prepared is the best strategy.